Synopsis: The career of controversial American general, George S. Patton during World War II phase. Did You Know? George C. Scott refused to the nomination and the award, because he did not feel himself to be in any competition with other actors. The film’s producer, Frank McCarthy, accepted the Oscar on his behalf, but in keeping with Scott’s wishes, he returned it the next day to the Academy. 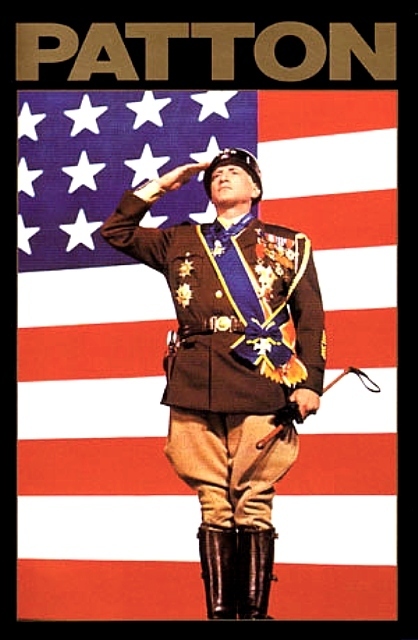 Quotables: PATTON: After all I’ve been through, imagine being killed by an ox cart? No, there’s only one honourable way a soldier can die: with the last bullet in the last battle of the last war. George C. Scott is incredible; I don’t understand how he was so humble to the point of self-deprecation, he is simply brilliant in this film. I find it refreshing that the film doesn’t romanticize war. All too often war films focus too highly on the characters’ love lives and their unfailing camaraderie with one another. But Patton doesn’t give us any of that. It’s harsh and gritty, and who’s causing all the trouble: our anti-hero, General Patton. He’s clever on the battlefield, but his hotheaded impropriety get him in trouble with the media. Make no mistake, he is a racist and a sexist, but the reporters were constantly twisting his words to make him sound even worse. It’s a good thing our media doesn’t do that anymore, right?